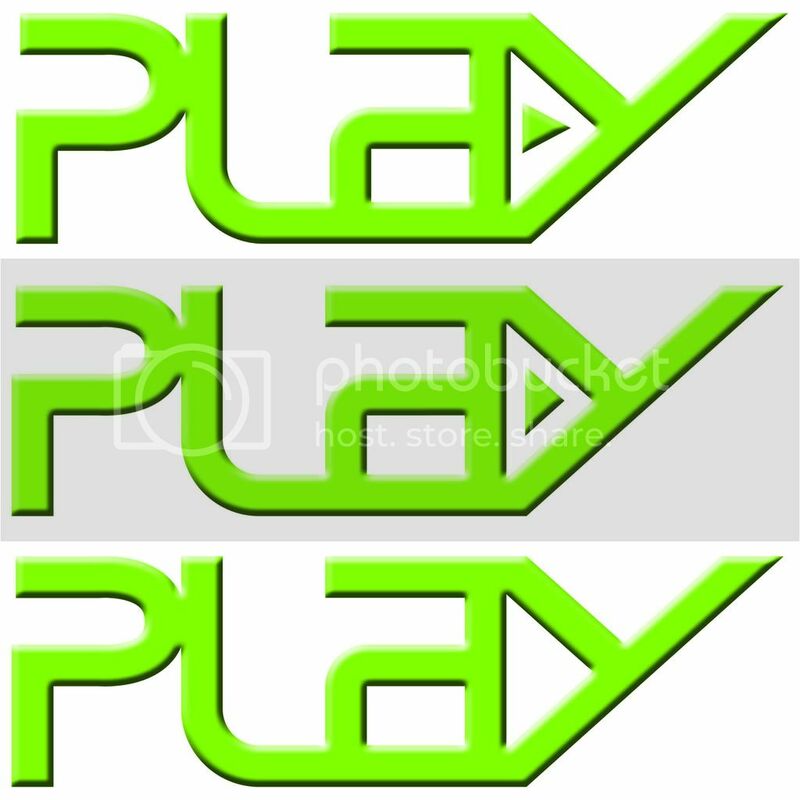 Im designing a logo for a Dj/club promoter, he's launching an event called "PLAY" the logo will eventually be used on the flyers, website, c.d's and other merchandise business cards, etc. 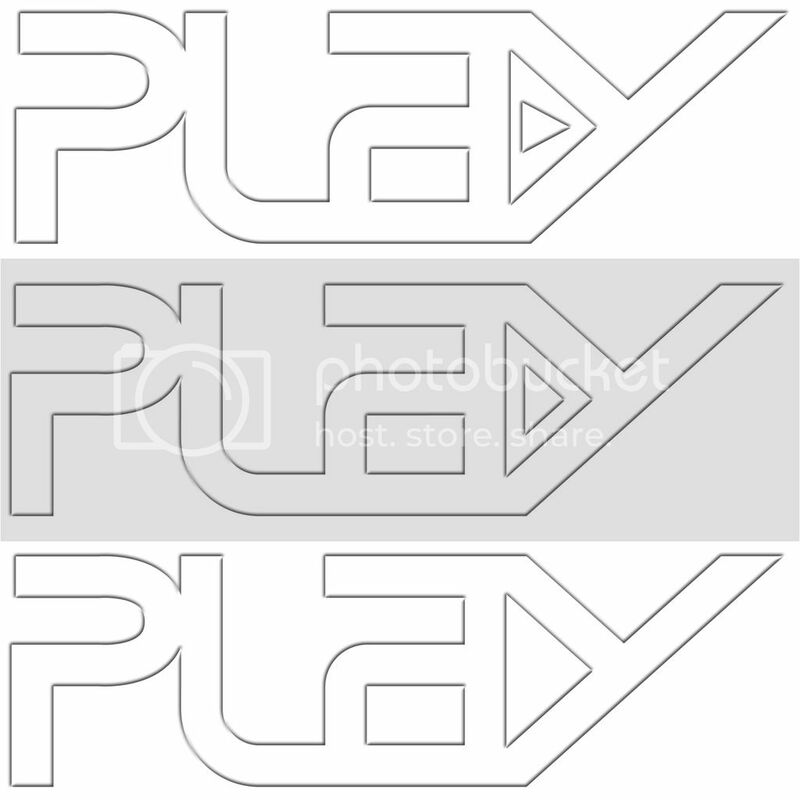 He wanted a fairly plainish logo but possibly encorporating the Play symbol. After designing the logo type ive attached a few variations on the theme, the colours will be interchangeable on subsequent flyers etc. Im now at this stage i could do with a fresh pair of eyes giving these the once over. Opinions and feedback would be much appreciated. However i quite like the design. It looks good - I just wouldn't use green... as its too over powering. Being quite large I find it quite hard to read personally. Your idea is along the right lines but definitely drop the bevel/emboss and other over-used techniques, they still just about have their place, but very rarely. Keep working at the idea, develop it further in black and white then move onto sprucing it up if needs be. Why are you using a bitmap editor? This is a logo is it not? Do it in vector. definitely drop the bevel/emboss and other over-used techniques, they still just about have their place, but very rarely. To be honest not really a fan of using effects on logos usually, but on this one wanted it to look a bit more 3 dimensional or tactile (as if it was a button i guess). The logo is vector based drawn in ai, bevels have been applied in ps. O.k heres another variation. A simpler version of the previous. Colours will probably change so just looking for feedback on the concept at this stage. 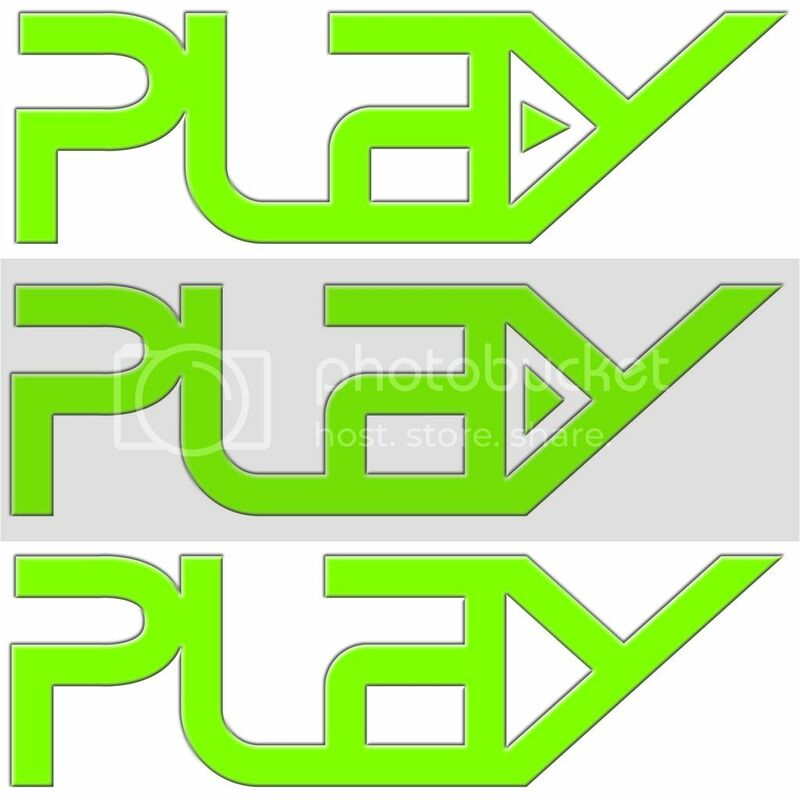 Ive tried to incorporate the Play triangle in an optical illusion sort of way, trying to make the right hand side of the the letter "A" and the inside edges of the"Y" look beveled but then you can also see a petruding play symbol in 3D hopefully (not sure if it is working as shading may not be quite right and ive looked at it far too much now and dont know what the hell i can see now ha ha). Do you think this is better than the previous and worth pursuing further? Last one is by far my favourite , very clean. Latest one is the best in my opinion. Definitely the last one agreed. Really like the way you have tackled this, I prefer the lastest one also but I don't think its essential to have the bevel, the idea in its self is its strength, reminds in of the fedex logo but in a good way NOT in a rip off way. I like your style! Good work!